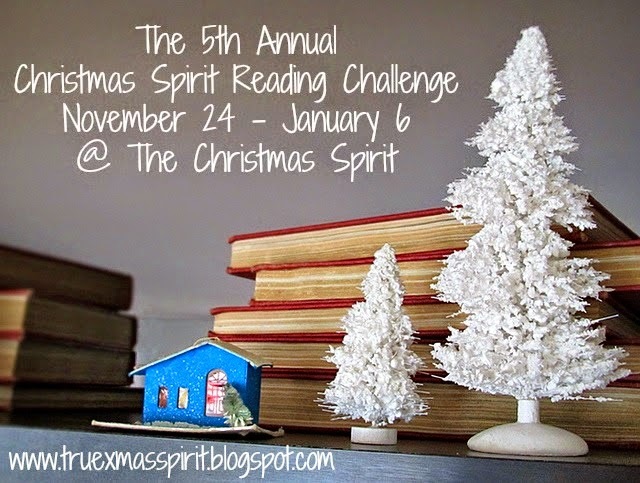 Michelle at The Christmas Spirit is once again hosting a Christmas Spirit Reading Challenge. There are several levels of participation, so even if you just want to read one Christmas book this season, you can join in the fun! I'm going with the Mistletoe level this year, which means I need to read 2-4 Christmas books from November 24 through January 6. I'm also joining the two additional levels: Fa La La La Films (watch Christmas movies) and Visions of Sugar Plums (read Christmas books with your kids). I know I'll be watching Christmas movies and reading books with the kids so I might as well get some credit for it!! I'll use this post to share my books and movies throughout the challenge. In addition, I'm joining Michelle's Christmas Spirit Read-a-Thon, which takes place from November 24 - 30. I'll have a separate blog post that week where I'll update about my progress, since I'll be reading non-Christmas books that week, too. Ooh, what a fun idea! I may have to join up myself :) Thank you for sharing, I look forward to seeing your updates on what you're reading and watching. It's a fun one! I did it last year too. Definitely join! !